*For this chart, large scale concerts refer to concert arenas that can hold more than 10,000 people. 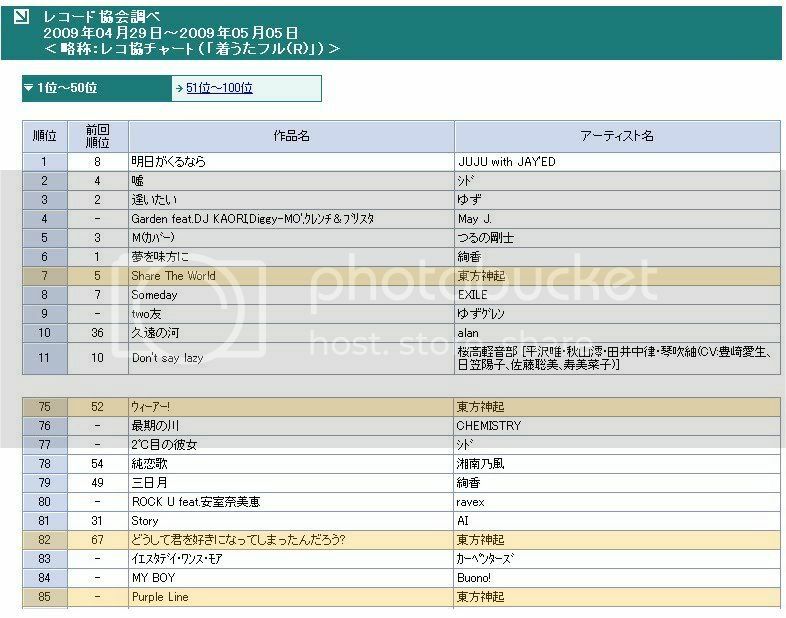 *Numbers might not be exact representations of the actual figures due to seating arrangements at the arenas. 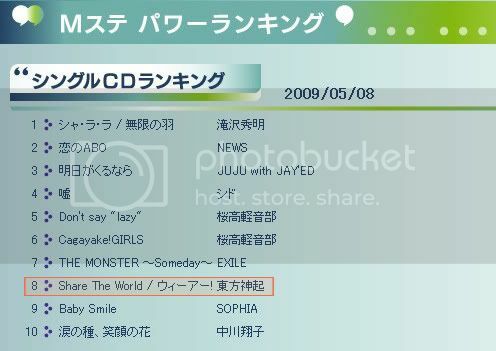 Tohosinki ‘Share The World’ Ranking on Music Note Japan in their 3rd week, moving down from 1st (1st week) and then 7th (2nd week). 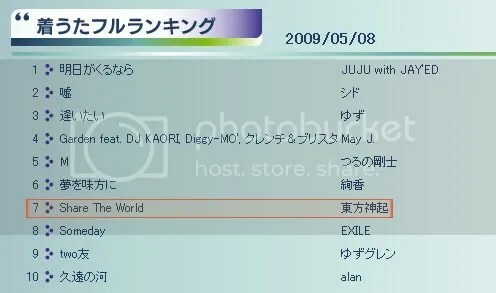 Ranking of ‘Share the World’ ringtone in the 2nd week moving from 5th in the first week.